During the summer kids often spend their time running around, going on vacation, and enjoying some much deserved downtime. But unless they were engaged in specifically designed activities (like 25 Ways to Practice Math at the Pool), chances are they weren’t practicing math. 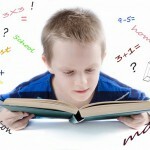 During the summer, kids can lose over two months of math proficiency. This means that when school starts, they’re two months behind where they were when school ended. Thankfully, you can make a focused effort to help ensure kids’ math skills are where they need to be on the first day of school. As you start your back-to-school shopping and start transitioning into back-to-school mode, throw in some math practice too! We are here to help. If you notice kids need help with certain areas, add more problems related to those areas to the drills. Make it fun by making it a game, doing the drills with your child or doing the drills in shaving cream or other sensory bins. 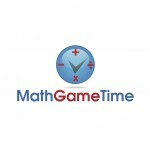 Of course, you can also use the free worksheets and math videos found at Math Game Time to help kids brush up on their skills. 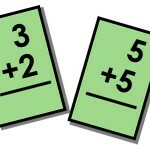 One other thing you’ll find at Math Game Time is plenty of free math games. Kids can also brush up on their math skills while playing some of their favorite apps and other popular games. Playing math games is a great way to help kids brush up on their math skills while still giving them a chance to have fun. After all, it’s still summer and you don’t want to cut that short.